Bodynamic is a convincing theory of somatic psychology development, which integrates contemporary research on child’s psychomotor development, anatomy, physiology and social psychology with the profundity of psychotherapeutical systems. This approach originated in Denmark the 70s of the 20th century. This conference could be interesting for practitioners: psychologists, psychotherapists, teachers, doctors, as well as psychology students and those interested in recent, contemporary methods in psychology. At the conference you will get an overview of Bodynamic development in Russia, Belorussia and Denmark; meet with the founders of the approach. Bodynamic bases: dignity, mutual connection and development in contact. Slogan: "It’s never too late..."
Consolidation and forming of professional society of Bodynamic in Russia. Exchange of experience, discussion of projects and research based on Bodynamic. Presenting the International Institute of Bodynamic Russian participants’ contribution to the Bodynamic analysis development . Presenting Bodynamic as the area of psychotherapy to the community of psychology professionals. Bodynamic in work with various aspects of personality (self-determination, emotions, roles etc.). Bodynamic in work with crises . Bodynamic in work with psychosomatic and various kinds of disorders. Bodynamic in work with children. 15:30-16:40 Bodynamic in work with various aspects of personality (self-determination, emotions, roles etc.). Vladimirova Maria (Russia) Bodynamic in work with various aspects of personali-ty (self-determination, emotions, roles etc.). Workshop Bodynamic in work with eating disor-ders «From obstacles to resources»Vladimirova Maria (Russia) Bodynamic in work with various aspects of person-ality (self-determination, emotions, roles etc.). In this lecture practical workings out will be presented: forms for structuring and systematization of a large amount of information on Bodynamic and some elements of the System of psycho-motor correction. The aim of the lecture: to help practitioners, to motivate them to carry out a comparative quantitative study in this approach and raise psychological and psychotherapeutical awareness in their work overall. Questions and discussion with the participants of the conference. Psychologist. Specialist and trainer in the System of psycho-motor correction “PSYCOR” of the Association of the psycho-motor correction System specialists (APCSS). Body-oriented psychotherapist, RABOP trainer and member. Leader of a parent-child club “Inspiration”. Certified Bodynamic practitioner (Bodynamic Institute, Denmark). Clinical psychologist, specialist in the System of psycho-motor correction “PSYCOR”, body-oriented psychotherapist (Bodynamic, Biosynthesis). Member of European Association for Body psychotherapy (EABP). Certified Bodynamic practitioner (Bodynamic Institute, Denmark). Research objective - to structure a tester’s subjective experience when making a body-map, define common issues, analyze their connection with the muscles tested and a tester’s personal experience. Education – graduate medical and higher psychological education, work experience - 9 years, Moscow Regional Humanities Institute, Department of psychology and pedagogy of professional education. RABOP member. Certified Bodynamic practitioner (Bodynamic Institute, Denmark). At this workshop I would like to offer the participants to “play” different types of eating disorders. Based on the classification by Evelyn Tribole and Elyse Resch ("Intuitive Eating" by Evelyn Tribole & Elyse Resch) we will consider if there are any regularities of character structures display in each type. We will define body patterns using body-reading and will try to find therapeutical approaches thanks to the participants’ professional Ego. Some elements of plastic sociodrama will be used at the workshop. Body-oriented psychotherapist, clinical psychologist. Certified Bodynamic practitioner (Bodynamic Institute, Denmark),certified in psychodrama and dance-movement psychotherapy. At present I have private practice. Work individually, conduct the topical psychological groups. Professional interests –work with non-chemical dependencies, eating disorders. Bach Flower Rescue Remedy – is used to balance in a situation of emotional conflicts and when working with character attitudes. The system is part of the complementary health movement and often named as energy medicine. It consists of 38 flower remedies made from non-toxic plants. In this lecture you will get an introduction to how to use the remedies in connection with the Bodynamic system. Brief introduction to Dr. Edward Bach, his life story and the philosophy of Bach flower remedies. The aim of the speech: understanding of a possible display of character structures patterns in the archetypal material and invitation to contemplate the integration in the work of the two approaches: Bodynamic analysis and Analytical psychology. Higher education. Pediatrician. Retraining: psychologist. Work experience – 12 years. Lecturer in the institute of retraining, private practice. Conduct group seminars and trainings, RABOP member. Psychiatrist, second higher education - psychologist, graduated Bodynamic foundation course of the international training program, participant of Bioenergetic international training program (4th year). Work as a body-oriented psychotherapist since 2000. RABOP member, full member of European Association for Body psychotherapy (EABP). This report will cover the possibilities for Bodynamic therapy integration with other approaches to reach the targets of reparenting, for teaching a client to become a therapist for oneself, a “loving parent”. This task is important for shock trauma therapy, development traumas, PTSD. As an example of such integration of Bodynamic and Cognitive-behavioral therapy (CBT), we take the work with the “diary of feelings” in 12-step program for adult children of alcoholics (ACA). Higher legal education, master of laws. Work – civil cases in the arbitration court and regular court, legal representation (work experience - 10 years). Interpreter (additional professional education). Graduated Bodynamic foundation course of the international training program. 1. Candidate of psychological Sciences. Work experience: 14 years in state institutions (schools, psychological centers, scientific institutions). At present – private practice, child psychologist. Why can it be so hard for a mother of a first-born? A child, sequentially living through the development stages, raises their mother’s traumatic experience, actualizes her development traumas. This process can be metaphorically described as a time-machine, which a baby offers their mother and where she gets into owing to symbiosis. The process where she is going to meet with her unresolved issues and infantile psychological traumas again. A mother and a baby can have apathy, weakness, fits of irritation and anger, anxiety, tears or despair, sleep disorders, long crying, various somatic problems: insomnia, pain, lactation disorders, colic, dermatitis etc. A psychological help to a mother in this period allows to correct a psychological and somatic condition of both a mother and a baby. Psyhologist, certified specialist in family therapy, gestalt therapy, Erickson therapy and hypnosis, short-term therapy, Psychokinesiology, Hannasomatics. Graduated Bodynamic foundation course of the international training program. I’ve been studying the correlation between physical health and the work of the psyche, psychological reasons for diseases for more than 12 years. I have experience in consultancy work, group work and development of author’s program. I’ve been working in medical and psychological centers, successfully helping people to gain health, display inner strength and abilities for more than 7 years. Report. "Your body – your helper"- Bodynamic approach resources in work with children. Bodynamic approach relies on the holistic concept of motor and psycho-emotional and allows to awake bodily, emotional and cognitive child’s resources to increase their contact with the surroundings and strengthen their inner feeling of Ego. Which exactly components of Bodynamic approach turn out to be the most significant and efficient in practical work with children? To answer this question we consider cases and generalize work experience. Clinical psychologist (MSU), neuropsychologist, certified gestalt-therapist. Society of practicing psychologists “Gestalt”, 2ndgroup of Bodynamic practitioners in Moscow. In the lecture we would like to analyze theoretical and practical aspects of work with aggression in parent-child relationship. Practical aspects are based on the experience of conducting parent-child groups in bodynamic approach. Tools for development of various aspects of parents Ego are examined in the article. 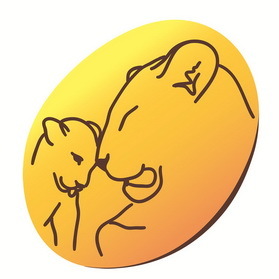 Psychotherapist, candidate of medical science, European Association for Body psychotherapy candidate member (EABP), work experience – 20 years, in Bodynamic – since 2007.Professional interests: Bodynamic, meditation, work with trauma, bodily awareness development techniques, neuropsychological research. 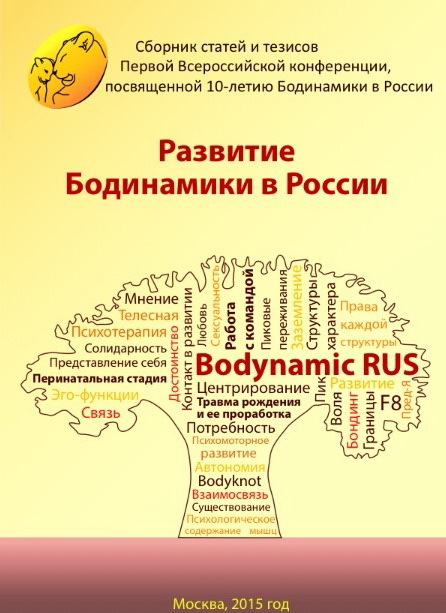 There report will cover the experience of using long-term body-focused training program «Emancipated body», which is based on bodynamic work with body muscles, active in a child’s development period from the 2nd trimester of pregnancy till 12 years and their psychological content. Work with character structures, recovery of personal basic psychological attitudes. Psychologist, head and leading specialist of “Antistress center”, certified gestalt-therapist, supervisor, trainer in Moscow gestalt institute, specialist in body-focused therapy (Bodynamic), member of Belorussian Association of psychotherapists. Work in Minsk. Work experience as a psychologist — since 1996. The lecture will cover the analysis of character structures by complementarity, subsequence. Triangular composition – neutral, hypo and hyper, energy transmission in muscles in movement. Psychologist, trainer and supervisor in Moscow Gestalt Institute, experience in conducting groups – 25 years. Experience in private therapy since 1999. Conducting workshops at RABOP summer festivals. Dignity contributes to the establishment of deep contacts between us, while arrogance raises barriers. Meanwhile emotional feeling doesn’t always send exact signals, which allow to distinguish these two states inside. What if arrogance is habitually used as a reliable defense? What if we encounter it in the psychotherapeutic office? How to help a client to catch the difference between arrogance and dignity? At the workshop we will examine muscular patterns and body signals, allowing to more accurately realize these states, as well as possibilities of biodynamic work with traps of defensive arrogance. Psychotherapist, candidate of medical science, European Association for Body psychotherapy candidate member (EABP), work experience – 20 years, in Bodynamic – since 2007. Professional interests: Bodynamic, meditation, work with trauma, bodily awareness development techniques, neuropsychological research. This structured and at the same time process-oriented technique gives an opportunity to us as professional to follow and at the same time support the authorship of a person making a decision in their life, building important to them relationships. The workshop combines a living experience and some methodical material. It is addressed to everyone who faces interpersonal conflicts and difficulties in decision making in professional and private life. Higher education - LeninMPSU, place of employment - MSPPU, Psychodrama therapist, psychodrama therapist trainer. Certified Bodynamic specialist-practitioner (Institute of Bodynamic, Denmark). Playback practitioner. Clinical psychologist (MMSU, 1997), body-oriented psychotherapist. Educational psychologist in Moscow educational system since 1995 till now, scientific adviser in Moscow Educational Center №548 “Tsaritsyno” Psychological service. President of the Association of Specialists in the System of psycho-motor correction “PSYCOR”, full member of European Association for Body psychotherapy (EABP), RABOP member and trainer. Certified Bodynamic specialist-practitioner (Institute of Bodynamic, Denmark). The objective of our workshop is to share the experience of the use of Bodynamic analysis theory about character structures in training psychologists, using kundalini yoga in their work. We use body reading and Bodynamic approach principles in psychocorrectional yoga practice of future yoga trainers. We hope this workshop will be interesting for psychologists, using Bodynamic analysis in their work with clients. Yoga practice has accumulated hundreds of effective complexes of exercises, many of which, strikingly accurately correspond to work with character structures, described by Lisbeth Marcher. At the same time it is not only the existence of exercises that is important, but that they are combined in a complex in a certain sequence, working with both separate muscles and structure energy. Besides the informative message, we will offer a practical part with the use of kriya kundalini yoga and comments to it. Rector of Integrative Kundalini Yoga Academy, candidate of psychological Sciences, author of the thesis “Kundalini yoga as a method of integrative body-oriented psychotechnology”, lecturer in the Institute of integrative psychology and professional development. Graduated the foundation course of Bodynamic International training program. Certified specialist of Process-oriented work Center (Portland, USA). President of Integrative Kundalini Yoga Academy, integrative psychologist, therapist working with somatic trauma, lecturer in the Institute of integrative psychology and professional development, Yoga trainer of the highest category E-RYT500 Yoga Alliance (USA), professional trainer of Kundalini Yoga teachers KRI (USA), author and training leader of the cycle «Kundalini yoga and modern psychotechniques». The workshop is aimed at the examination, awakening and development of healthy ways of movement, which are the basis for the mechanisms of adaption to the world around. In the practical part participants will have an opportunity to experience the awareness of their body sensations and feelings through the movement, which can be used to understand and develop the mechanisms of adaption in interaction with the world. In the theoretical part, which will follow the practical one, participants will get a notion of Body Ego awakening (by Lisbeth Marcher) at different levels of movement organization (by Bernstein) as a biological basis for Ego development and functions. Clinical psychologist, specialist in the System of psycho-motor correction “PSYCOR”, body-oriented psychotherapist (Biosynthesis). Member of European Association of Body-oriented psychotherapists (EABP). Certified Bodynamic practitioner (Bodynamic Institute, Denmark). Somatic psychotherapist (the diploma of Biosynthesis Institute IIBS, Switzerland). Certified Bodynamic practitioner (Bodynamic Institute, Denmark). Member of European Association for Body psychotherapy (EABP), Tai Chi trainer. The objective: to acquaint the participants of the workshop with the practical experience of the use of Bodynamic, in particular Bodynamic model F8, in various aspects of the work with organizations. We would like to show a part of the training, which we created for real work with an organization, which psychotherapeutic request was connected with a conflict atmosphere in the team. Certified Bodynamic practitioner (Bodynamic Institute, Denmark), participant of Feldenkrais practitioners International program - Feldenkrais -Training, Vienna 7, organizational consultant, Gestalt-therapist. RABOP member, full Member of European Association for Body psychotherapy (EABP). №1 "Research projects. Combination of Bodynamic with other approaches "
№2 "Limitations and advantages of Bodynamic approach"
Playback-theater is one of the forms of the modern non-classical theater, where there is no scenario, direction or rehearsed staging. There is real life on stage: spectators’ stories, which become alive thanks to actors’ and musician’s spontaneous play. Actors and the musician on stage,like jazz sounds, supplement each other and you see a story become alive. Spectators’ stories can be absolutely different: small sketches of life, long stories with different characters and events. It can be anything – real things, daydreams, fantasies and even dreams. Only for the participants in two days of the conference the founders of Bodynamic - Lisbeth Marcher, Eric Jarlnæs – will hold unique workshops (conference seminars) on 22 and 25 May 2015, from 10 till 18. Number of participants is limited. Applications and payment for the participation in the seminars are accepted only after registration and payment for the 2 days of the conference (please, check availability). 2 days - 6950 RUB. 1 day - 4750 RUB. 2 days - 8800 RUB. 1 day - 5850 RUB. Organizer: CENTER FOR PSYCHOLOGICAL COUNSELING AND BODY PSYCHOTHERAPY.